Having working door locks on your vehicle is very important to prevent car theft and to prevent the things inside your vehicle from being stolen or bothered by others. All cars have locks but some are manual while others are automatic or powered. When you have manual door locks you just have to push the locks on each door by hand in order to ensure they are locked properly, however when you have powered car locks you can push one button and all the locks lock in unison. There are a couple different reasons why your power locks may not be working the way they should. If all of the locks have stopped working at the same time then there could be a problem with the car battery. You will know if it's the car battery if the car does not start and the other parts of the car that require power are no longer working as well. Another reason the car locks may not be working is that a fuse could be blown that controls that part of the car. Fuses are responsible for distributing the power throughout the car where it is required. When a fuse blows, the part of the vehicle that was receiving power through that fuse will no longer work. Also if you are used to using a battery operated key chain to open your car locks and the locks are not opening then the key chain could just need a new battery. When you have only one door lock that seems to be malfunctioning then typically that is caused by the door lock actuator. When this car part stops working the only lock affected is the one inside that door panel. Each door has its own door lock actuator that runs its door lock. It is uncommon that the door lock actuator goes out on a car lock however if it does it can be replaced and you can have your lock working like new in no time. The first step is to take the door panel off the door to have better access to the door lock actuator. This can be the worst step of all considering the door panels are not made to be removed easily. Replacing your door lock actuator can be a little frustrating and definitely time consuming but it will be worth it in the long run. If you know for sure that one of the door lock actuators has gone out then you should probably plan on replacing the two main car door actuators at the same time. It is possible that when one of the actuators goes out it can eventually short the whole circuit running the rest of the locks and therefore prevent all the locks from working at some point. If you take the time to go ahead and replace both the lock actuators at the same time then you can be confident that you will not have this problem out of your locks any time in the near future or ever again. Before you purchase your door lock actuator you should shop around for the best price. You can order from the dealership however you will most likely pay more doing that. 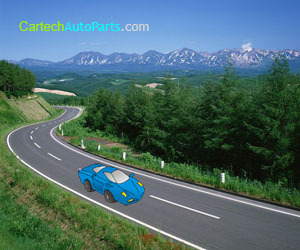 Instead you could look for an aftermarket manufacturer that has your part for a lot less money. Installing the part yourself may be challenging and if you do not have the time or patience it may be worth paying someone to do the installation for you. Once you have your new door locks in place you will be thankful that you no longer have to rely on locking and unlocking the car manually.